A commercial agreement on the construction of a new highway in Serbia, from Preljina to Pozega, on Corridor 11, worth EUR 450 million, was signed in Budapest on November 27 at the summit of China and 16 countries of the Central and Eastern Europe. Deputy Prime Minister and Minister of Transport of Serbia Zorana Mihajlovic, the acting director of the Roads of Serbia, Zoran Drobnjak, and the vice president of China Communications Construction Company Ltd. (CCCC), Sun Ziu, signed an agreement on planning and performing the works on the construction of the Preljina-Pozega section of the E-763 highway, in the length of 30.9 kilometers. The highway is very important to connecting Serbia and the region, as it is an extension of Corridor 11 towards the border with Montenegro, but also a part of the future Belgrade-Sarajevo highway, as the construction of around 60 kilometers more, from Pozega to the border with B&H, remains to be carried out. Nearly a third of the route on the future highway from Preljina to Pozega will consist of bridges and tunnels. The Preljina-Pozega section is divided into three smaller sections. The first one, from Preljina to Prijevor, along the river Cemernica and a small section of the West Morava, is 8.27 km long. The works planned for the second section, which stretches from Prijevor to Lucani, entail the paving of 15.51 kilometers and the construction of 20 bridges exceeding three kilometers in length, as well as the construction of the 1,750-m Laz tunnel. The third subsection, from Lucani to Pozega, will have seven kilometers and should feature three bridges, a tunnel 2,040 meters long, an interchange in Lucani and a bridge over the river Bjelica. This section is the continuation of the project of the construction of the Belgrade-South Adriatic project, in the total length of 258 km. In 2016, 40 kilometers of the Ljig-Preljina highway on Corridor 11 opened for traffic, and the entire stretch from Obrenovac to Preljina, 102 km long, should be completed soon as well. The route contains the Ub-Lajkovac section, previously constructed by local contractors, whereas the Chinese, along with local subcontractors, are close to completing two sections: Obrenovac-Ub and Lajkovac-Ljig. 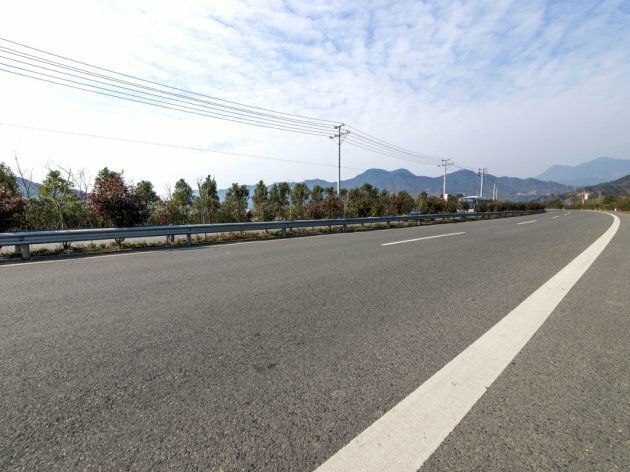 The Chinese are also building the highway from Surcin to Obrenovac, which will be completed in 2019, and the construction of the section from Pozega to Boljare on the border with Montenegro is planned as well.